Can you confirm these amateur observations of Leiocephalus lunatus? lunatus: south coast, between Rio Haina and Rio Ozama; Type locality: Santo Domingo, Distrito Nacional, República Dominicana. arenicolor: south coast, between San Pedro de Macoris and Boca de Chav6n. lewisi: south coast between Rio Ozama and Boca Chica. Comment For illustrations see Mertens, 1939 (as L. p. lunatus); Cochran, 1941 (as subspecies of L. personatus); Schwartz, 1967. 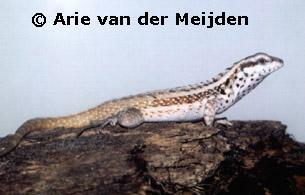 Mertens, R. 1939. 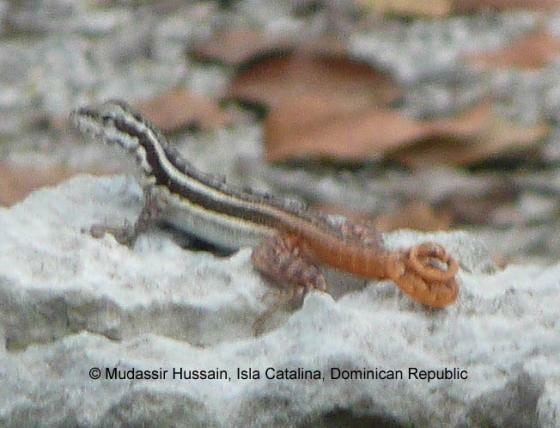 Herpetologische Ergebnisse einer Reise nach der Insel Hispaniola, Westindien. Abh. senckenb. naturf. Ges. (Frankfurt) 449: 1-84.